I'm delighted to welcome Jennifer Epstein, author of THE GODS OF HEAVENLY PUNISHMENT and the highly acclaimed, The Painter from Shanghai. 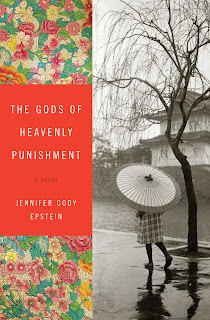 Set in World War II, depicting one of the war's most devastating events and its aftermath, The Gods of Heavenly Punishment is an vivid, evocative novel told through the eyes of a fifteen-year-old Japanese girl, Yoshi, who is on her way home when American bombers shower her city with napalm—an attack that leaves one hundred thousand dead and half the city in ruins. In the days that follow, Yoshi’s old life blurs beyond recognition, leading her to a new world marked by destruction and shaped by those considered the enemy, included a downed bomber pilot taken prisoner; a gifted architect who helped modernize Tokyo’s prewar skyline and is now charged with destroying it; and an Occupation soldier with a dark secret of his own. Each will shape Yoshi’s journey as she seeks safety, love, and redemption. 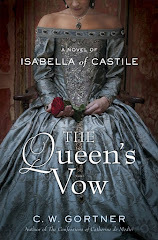 Please join me in welcoming Jennifer Epstein, who offers us this guest post on That Pesky Line Between History and Fiction! One of the most frequent questions I get as a historical novelist is: “How much of what you write is really history?” It’s a good question. And an important one, I think--especially given how discomfort-making the blending of fact and fiction can be. It’s sort of the literary version of mixing beer and liquor: for some people, even the idea makes them queasy. I discovered this myself while writing my first novel, The Painter from Shanghai (W.W. Norton 2008). As a former journalist--with both a BA and an MA in Asian Studies--I take both facts and history very seriously. At first even I was a little anxious about fictionalizing a real-life character from a different culture and era. But the story of prostitute-turned-post-Impressionist Pan Yuliang seemed ideal for a novel, since even in her native China there is very little documentary evidence about her life. In fact, when I began researching her in 1999, most people seemed to rely mainly on another fictionalized biography—one published anonymously during the ‘80’s. Even academics, I noticed, would refer me to this unattributed, novelized version for lack of better source material. As my research progressed, though, I began to notice something else: namely, a reluctance by some of the sources I approached to be associated with a fictionalized history. No one said so in so many words. But there was a clear pattern of dropped email chains and unreturned calls from various professors and scholars of the “straight” history world to whom I’d reached. Having never encountered such reticence in my previous field of journalism, I found it somewhat baffling at first. But an early review for Painter shed some light. Writing for the scholarly Asian Review of Books, editor Peter Gordon had many nice things to say about my novel. In the end, though, he admitted that the idea behind my novel unnerved him: “The problem is that the real Pan keeps on getting in way….one continually wonders how much is real and how much dramatized…. The result is that The Painter From Shanghai sits at the intersection of biography and fiction, a place which I personally find somewhat uncomfortable.” Which led me to ponder: where, exactly, is that intersection? Or rather: what rules should be followed when mixing “real history” with writerly imagination? For myself, at least, it’s actually pretty straightforward. There is no question that truth is important, and it is a period writer’s responsibility to get the details right wherever and whenever possible. But in the end, a novelist’s first job is to tell a good story. To craft a compelling yarn, peopled by characters her readers can not just picture but inhabit--live and breath, see and sigh and even smell through. And while reassuringly fact-checkable, names, dates and places alone simply don’t provide a broad enough palette to do that: to truly “flesh out” historical moments—e.g., drape them in human skin--sometimes one simply must fabricate. Recognizing this, the rules I’ve set for myself are simple. I research my projects intensely, get all my facts straight, and resolve to do my best to stick to them. I am allowed, however, to take historical liberties that are at least somewhat plausible—in other words, don’t contradict broadly-accepted historical fact. For instance, in fictionalizing Pan Yuliang’s story I have her meet the Chinese revolutionary Zhou Enlai at Lyon University, and then again later on in Shanghai. There’s actually no historical proof the two ever really met. And yet the fact that these two real figures were in Lyon and Shanghai at the same time, and definitely knew people in common, made it seem credible to me that they might have met. Moreover, introducing Zhou as a character was a way to give readers a taste of the time’s political fervor and excitement, which was one of my goals as a novelist. And so, I picked him for my palette. The same rationale wouldn’t have worked for every character from the period, however. For instance, seating Mao Zedong at Pan’s table at Les Deux Magots would have been taking it too far, since anyone familiar with the story of China’s revolutionaries in Paris would know he wasn’t part of that cliché. Similarly, in The Gods of Heavenly Punishment I’ve added a fictional bomber (Cam Richards) to the heroic band of Doolittle Raiders who flew our first strike against Japan. Confession: no one by that name ever existed. Still, almost everything that happened to Cam Richards did happen to a Doolittle Raider, with the exception of where his bomber crashes. In my novel, this happens in Japan-colonized Manchuria, which is not a stretch most readers would notice. Besides, I needed my heroine—who visits a Japanese settlement in Manchuria shortly after the crash—to receive an item that had belonged to Cam’s wife. So overall, I figured I was within my rights to move Cam’s doomed bomber further North than any of the Doolittlers actually flew. It would not have been within my rights, however, if I decided to add, say, a third nuclear bombing at the end of the Pacific War. For one thing, it would add nothing to the story I was trying to tell. But there’s also the fact that most people stop mid-page and think: “Wait, that didn’t happen.” Then they’d probably wonder why I wrote it, and whether other historical facts in my book were fabricated. At which point I’d be guilty of a far greater authorial sin than veering from history: losing my reader. 1* Be factual whenever possible. 2* Don’t mess with the really big stuff. 3* Above all, tell a really good story. That said, sometimes fictional narrative can play into historical truth in unexpected ways. One of my own more memorable research moments in Painter occurred over the Chinese lover I wrote into Pan’s early years in Paris. When my factchecker asked how I’d come across this character, I told the truth: that he was based on a painting of Pan’s, of a strong young man holding Chinese soil in his hands. I’d imagined him as a fellow artist, one of the Chinese students fermenting revolution in smoky Left Bank cafes. Also, someone younger than she was (I thought she’d like that). “But where did you read about him?” asked my researcher, who happened to be Chinese. She went on to tell me that there’s a man who fits the same profile as my character who lived with Pan for years in Paris, and now lies buried next to her in Montemarte. For a moment I just stared at her. Then I burst out laughing. Well, what do you know, I thought. In this one case, at least, my fiction had led me straight to the facts. 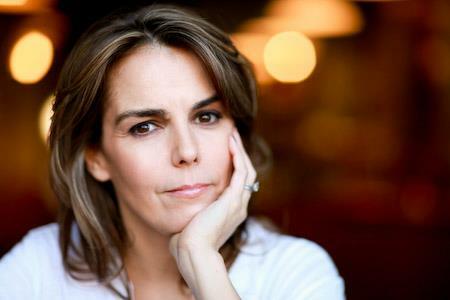 I'm delighted to welcome Teresa Grant, author of THE PARIS AFFAIR. Set during the Napoleonic era - one of my favorite times in history - shortly after the battle of Waterloo, this is a lavish mystery and adventure novel surrounding a lost child and family secret, featuring the suave intelligencer, Malcom Rannoch, and his intrepid wife, Suzanne, who must race against time and the crumbling world around them to discover the truth of the child's whereabouts. Please join me in welcoming Teresa Grant. Please you tell us about your inspiration for writing THE PARIS AFFAIR. When I wrote about Malcolm and Suzanne Rannoch at the Congress of Vienna in Vienna Waltz, I knew I wanted my next two books in the series to be set around the battle of Waterloo (Imperial Scandal) and then post-Waterloo Paris (The Paris Affair). I loved writing about Waterloo, but I was equally excited to tackle its aftermath. The Bourbon Restoration and the White Terror are such a fascinating time. Knowing the setting, it made sense for the plot to revolve around the attempts of the Ultra Royalists to exact vengeance on those who had supported Napoleon after his escape from Elba. I got the idea of an agent who had worked for the British using secrets to blackmail them into helping him escape Paris and supporting him in style in England. And then, because I think stories are stronger with a personal element, I thought of Malcolm’s murdered half-sister Tatiana Kirsanova and what the implications would be if one of those secrets concerned a secret child she had left behind in Paris. Thematically, a number of the characters are trying to reclaim a lost heritage in one way or another. I was initially intrigued by the Regency/Napoleonic era through Jane Austen and Georgette Heyer. I think it’s such a fascinating time period, on the cusp between the 18th century and the Industrial Revolution, between the classical and romantic eras, between the Les Liaisons Dangereuses generation and Victorian repression. The ferment of the French Revolution ripples through despite the efforts of some politicians to turn back the clock. In many ways those tensions came to the fore in the post-Napoleonic era when politicians and diplomats redrew the map of Europe. My protagonists, Malcolm and Suzanne, are both intelligence agents, and there are so many wonderful opportunities for spy stories in this era, both James Bond adventure and the sort of intricate chess games and moral dilemmas John le Carr’s dramatizes so brilliantly. So many different sides, so many different factions within sides. The French under Napoleon had been bent on conquest, but they had also brought much-needed reforms to many countries. Some liberal Spaniards saw supporting the French in the Peninsular War as the quickest route to progressive reform. And after the Napoleonic Wars, a number of the victors wanted to turn the clock back to before the French Revolution and saw any hint of reform as one step away from blood in the streets. Friends easily melt into enemies and back again. Napoleon’s longtime foreign minister Prince Talleyrande later became prime minister under the Bourbon restoration, Joseph Fouche who had been ruthless in using terror against enemies of the Bonapartist government was equally ruthless in going after Napoleon’s supporters who were proscribed from the amnesty after Waterloo. In the midst of breakneck adventure, a love affair can have political consequences, a tactical decision can shatter a friendship, it can come down to a question not of whether or not commit betrayal but only of who or what to betray. It’s a fun era to research because a lot of material is available - letters, memoirs, diaries, newspapers, novels of the time. There’s a fascinating cast of real historical figures to explore: Talleyrand, Fouche, Talleyrand’s niece Dorothee and her sister Wilhelmine of Sagan, the Duke of Wellington, the British foreign secretary Lord Castlereagh, the scandalous Lady Caroline Lamb. To the extent there are challenges, it’s sometimes it can sometimes be difficult to find sources that focus specifically on the Regency/Napoleonic era as distinct from what came before and after. Even say typing in a search in Google images, if one puts 19th century Paris, most of the images will be from the later 19th century, but if one puts 18th century Paris the images may be too early. What process did you use to transport yourself (and readers) to another time period? How do you go about research and incorporating it into fiction? I love reading letters, diaries, and memoirs of people who lived through the events I’m writing about. I love to travel to the area I’m writing about, but that isn’t always financially and logistically feasible (I was pregnant and had a baby while writing The Paris Affair). If I can’t visit the place in person, I look at a lot of pictures and talk to friends who have been to the area. I also find historical films are incredibly helpful, as long as one knows enough about the era to know where they have taken liberties :). I find having a theater background very helpful in terms of thinking of my book in scenes and acts. To bring the setting alive, I try to put myself in the scene. First one has to know how a character would be dressed, then one has to imagine what it would be like to be moving about in a corset and a long skirt, or a cravat and waistcoat. I try as much as possible to show my characters interacting with their environment rather than just giving detached descriptions. It’ll often make lists of what I can use in a setting for each of the five senses. 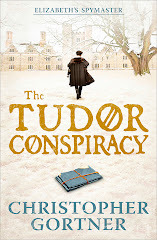 Does your historical fiction convey a message or theme relevant to our world today? If so, what do you think it is? If not, how do you think readers can find common ground with the characters in your story? I think most historical fiction says something about the time in which it is written as well as the time in which it is set. The issues surrounding power dynamics, political factions, the rights of small countries versus larger ones, the moral ambiguity of spying, and the challenges of bring about social change are all relevant in the Napoleonic Wars and their aftermath and today. Also, my central couple, Malcolm and Suzanne Rannoch, are both intelligence agents. A lot of what they deal with juggling being a diplomatic couple and also spies, investigators, and parents is remarkably similar to similar to a modern couple struggling to balance family and the demands of careers. I’m currently finishing up the next book in the series, provisionally titled The London Gambit. It’s set in London in December 1817. Malcolm and Suzanne have taken up residence in Britain and have a second child. Malcolm has left the diplomatic service and gone into Parliament, but you cannot really leave the spy game. Their friend, playwright Simon Tanner, climbs through their library window one night, rain-drenched and bloody, clutching a manuscript. 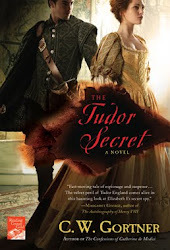 Malcolm and Suzanne are drawn into a mystery involving an alternate version of Hamlet that may or may not be by Shakespeare, a mysterious secret society, Irish rebels, Lady Caroline Lamb, and Lord Byron. Thank you, Teresa. Best of success with The Paris Affair. 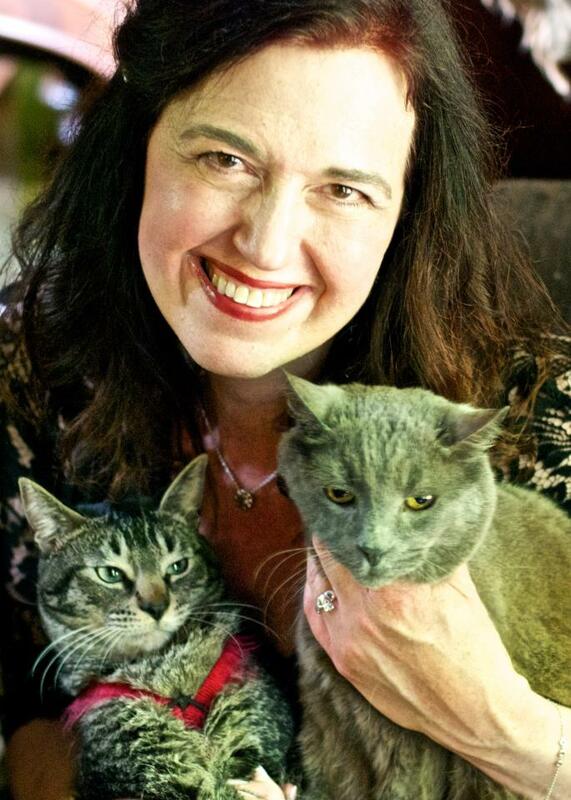 To find out more about Teresa's work, please visit her website. I'm delighted to welcome Lauren Willig, bestselling author of The Pink Carnation series, whose novel THE ASHFORD AFFAIR debuts today. Set in the 1920s and modern-day Manhattan, this enthralling tale of two women and the family secrets that bind them moves from the inner circles of WWI-era British society to the broad expanses of Kenya. 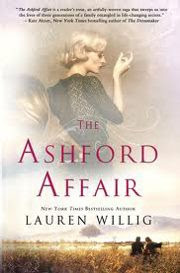 Lauren has been highly praised for her novels and The Ashford Affair is no exception, with Library Journal starring its review, saying: "[A] nuanced story teeming with ambiance and detail that unfolds like African cloth, with its dips and furls and textures, woven by a master storyteller." Please join me in welcoming Lauren Willig. Please you tell us about your inspiration for writing THE ASHFORD AFFAIR. 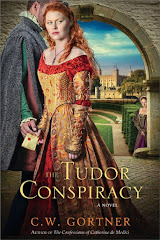 THE ASHFORD AFFAIR was one of those books that popped up out of the blue. I wasn’t meant to be writing about 1920s Kenya; I was scheduled to write another novel set during the Napoleonic Wars. But one rainy afternoon in the fall of 2010, a friend sent me a copy of Frances Osbornes’s The Bolter as a gift. It wasn’t just that I was fascinated by the rackety life of British expats in Kenya; I was deeply struck by the author’s comment, in the preface, that she hadn’t known that the Bolter (aka Idina Sackville) was her great-grandmother until she was in her teens. The family had kept the relationship under wraps. At the time, my own grandmother was very ill, and it struck me, forcibly, how much we assume and how little we know of our own family members and their pasts. What if a modern woman were to discover that nothing about her family was as it seemed? Once the idea struck, it wouldn’t go away. 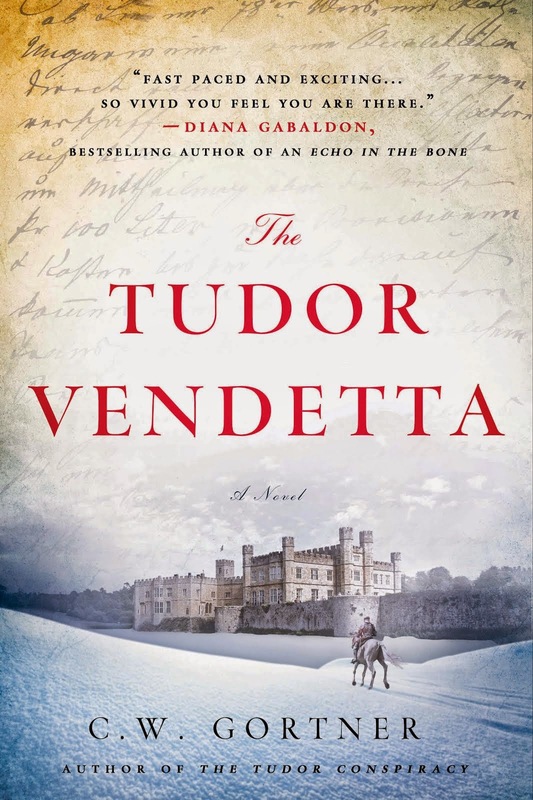 I put the next Napoleonic book on hold, read up on Edwardian England, World War I, and 1920s Kenya, and launched into the story that would eventually become THE ASHFORD AFFAIR. If you had told me two years ago that I was going to write a book set entirely in the twentieth century, I would have made rude noises of incredulity. After nine novels all set during the Napoleonic Wars, I had always assumed that if I were to jump century, as it were, I would go back in time to the seventeenth century, the era of my abandoned doctoral thesis, or perhaps even earlier than that. The twentieth century was just so… modern. In particular, I’ve always avoided World War I, with its gas masks and trenches and mechanized warfare. Periods of flux and change make for larger than life characters and great fiction—and the World War I era doesn’t lack for either. One of the delights of writing about World War I England and 1920s Kenya was that I came to the topic knowing so little (despite a brief stint in grad school TA-ing a class on colonial Kenya—but that’s a whole other story!). My research was a journey of discovery, fresh and exciting, and I hope that fascination with the time period, with the quirks and characters I was discovering, came across in the book itself. I’ve always found that the best way to get a sense of the time is to read the firsthand accounts of those who lived it: letters, diaries, novels, memoirs. (Allowing, of course, for the tendency of memoirs to shift the truth about to exculpate the author!) Fortunately for me, the denizens of the early twentieth century were not chary with their prose. I found a wealth of material that I was able to draw on to understand how my characters would have perceived and reacted to various places and events. Rupert Graves’s World War I memoir, Goodbye to All That, left a deep impression on me (and my characters), as did Beryl Markham’s account of her days as an aviatrix in Kenya. Many of their experiences, as well as those of others, found their way into the lives of my characters. For those wanting to read more on the topic, I have a truncated bibliography up on my website. THE ASHFORD AFFAIR zigzags back and forth between a modern woman in 1999 and the life of her grandmother in the 1910s and 20s. When we meet my modern heroine, Clemmie, she’s running late to her grandmother’s ninety-ninth birthday party, harried and coffee-stained, on track for a partnership at a prestigious law firm—but at the cost of lost friendships and a broken engagement. I know many women like Clemmie, women who have been told, by teachers and mothers, that they’re meant to go out and grasp with both hands all that the previous generations of women have been denied, who achieve and achieve and achieve, and wake up one day—usually at one a.m. in the office with half-filled coffee cups scattered around them—to ask, “How did I go wrong? Why is this making me so miserable?” With all of the discussion these days of leaning in, leaning out and work/life balance, I think there are many who will find Clemmie’s experience particularly relevant. I’ve been hopping time periods. 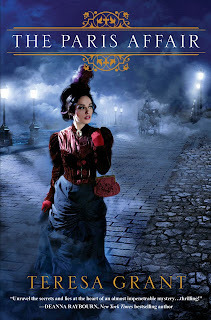 In August, the tenth book in my madcap Napoleonic-set spy series, THE PASSION OF THE PURPLE PLUMERIA, hits the shelves. 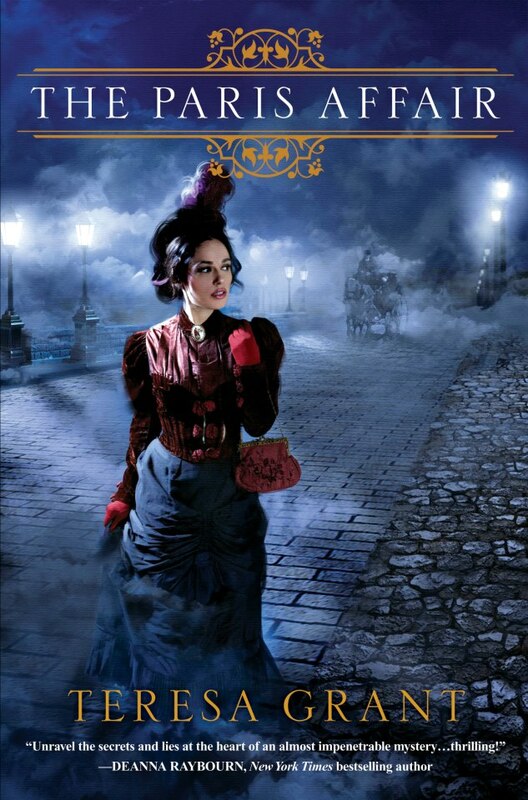 Set in Bath in 1805, a chaperone turned spy and a former Colonel in the East India Company’s army join forces to find a pair of missing school girls and a legendary cache of missing jewels—unless someone else finds them first…. I am also very excited about my next major stand- alone novel (still untitled) which will be coming out in the spring of 2014. This new stand-alone goes back and forth between 2009 and 1849, as a modern woman, raised in New York, is drawn back to the suburbs of London when she unexpectedly inherits a house from an unknown great-aunt. In the old house on Herne Hill, she discovers a lost Preraphaelite painting hidden away in the back of a wardrobe. As our modern heroine hunts down the provenance of the painting—and the fate of the man who painted it—she discovers a tale of forbidden love and a hushed up family scandal with reverberations through the generations.I had such fun researching the early days of the Preraphaelite movement—and, of course, coopting Dante Gabriel Rossetti as a side character! 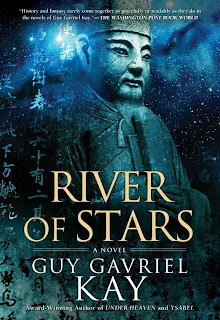 I'm delighted to welcome Guy Gavriel Kay, whose new novel RIVER OF STARS was published this week. I've long been a devoted fan of Mr Kay's work; his adaptations of history through the prism of fantasy offer breathtaking new landscapes that feel both familiar and utterly unique. In his new novel, he returns us to historical China, following the events detailed in his previous novel Under Heaven. This time, it is four centuries later, and we journey into an epic rendering of a dynasty on a collision course with fate, featuring prideful emperors, battling courtiers, bandits and soldiers, nomadic invasions, and a woman who fights in her own way to find a new place for women in the world – all inspired by the glittering, decadent Song Dynasty. 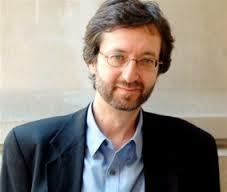 Please join me in welcoming Guy Gavriel Kay! You are considered a master of historical fantasy, melding history and fiction into a unique setting. What inspired you to write within this particular arena? 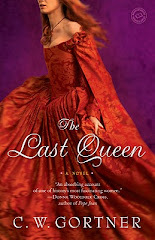 What are some of the challenges and/or delights about writing a fictionalized version of a historical era? First of all, thank you. Good interview tactic to start with a compliment! The problem with answering a good question is that it takes, not a village, but an essay. I have written speeches and essays on what I see as some of the core strengths of this blending of history and the fantastic. You can find some of them on http://www. brightweavings.com under 'GGK's Words'. I like grounding and controlling my art with research. I like not piggybacking on real lives, pretending I know what Justinian and Theodora were like in private. I like being able to sharpen chronology and themes. 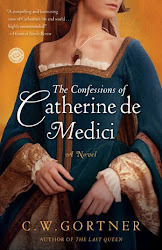 I enjoy the idea that even readers who know the history I am working with may feel suspense as they read because the books serve notice from the outset that they are inspired by, but not identical to the actual history. Pleasures for me are many, mostly in the research stage. I enjoy that enormously: reading widely, corresponding with some brilliant people who become friends, just learning things. There is a reward for me in finding themes, motifs, inspirations in the past and alchemizing them into a novel that doesn't 'cheat' by pretending to any literal knowledge. Elements of the fantastic also validate the beliefs of people in another time and place, take us away from modern 'smugness'. I feel ethically and creatively liberated working this way. I know there are writers (and filmmakers) who say, essentially, 'It is just a novel (or a film') as an anything-goes excuse. I am not challenging their own work concept, merely expressing my own. I don't think there is anything 'just' about a novel. I think power and importance can reside in them. And I find a great deal of strength in what one critic called a 'quarter turn to the fantastic' - and I am happy to see more and more people discussing and exploring these issues. Tell us about your reasons for writing RIVERS OF STARS? What drew you to this story? I suppose I began learning bits and pieces of the 11th-12th c Song Dynasty as I read and interacted with scholars while researching and writing Under Heaven - which is inspired by events in the Tang period, 350 or so years before. I have an ongoing fascination, something of a recurring theme, regarding the power of the past to affect us, the way it 'doesn't go away'. Faulkner's 'the past is not even past' (paraphrasing). The Song, in many ways, was a period shaped by an intense reaction to the past of China, and felt perfect to me as a chance to delve deeply into a motif I love. In addition, there are some glorious figures that emerge from any reading of the period, and I made full use of some of these as inspirations for my protagonists and supporting characters. I am always drawn to times and places of transition, flux, the great chaos these sometimes cause - and this story is locked into that, too. The many and varied layers of conflict gave me the complexities I seem to be drawn to exploring. What process did you use to transport yourself (and readers) to your realm? How do you go about your research? I have always believed a writer needs to know far more about his or her material than ever gets into the book. The reader needs to be made intuitively, subliminally confident in their 'guide'. This means, for me, a horror of 'info dumps' that operate mainly to declare, 'See, I did some googling!' Details need to slip in as quietly and naturally as possible, and there are various narrative devices that make that possible if you do know your source material well. I would never, ever presume to say I am anything like a scholar in the periods of history I have worked with, but I do spend a lot of time on it, and in some targeted areas, I suppose I do end up knowing an awful lot. A few years ago I could have bored you, big time, on Byzantine mosaic technique, or where the best horse in a chariot racing quadriga was placed (it is actually a dispute! I checked with modern harness racers, along with historians!) So I suppose the answer is I start with research, and I take my time. I think that idea of a 'trusted guide' is important. As readers we are forming responses to a work below the conscious level, along with our surface reactions. Do you believe your novel conveys a message or theme relevant to our world today? If so, what do you think it is? If not, how do you think readers can find common ground with the characters in your story? This is tricky. I dislike didactic novels, and I always prefer to 'get' you with a stiletto in the ribs, quietly (you don't even know you're being stabbed), than with a heavy hammer to the head (alliterative or not!). I do have themes, motifs, for each novel and some that recur in various forms. I need reasons to spend as long as I do with a story, and a reason for readers to spend as much time with me as a big book demands. So the answer, 'entertainment' isn't quite enough, for me. Of course I want you awake half the night turning pages, but - foolishly or otherwise - I also want you thinking about the book after, remembering it when you encounter something in your reading or your life, afterwards. So, yes, I do have themes and elements that I feel are deeply relevant to our times in each book, but I am reluctant to spell these out. And there's something else: very often, since every novel is a journey of discovery for me, the evolving narrative and characters show me themes I have obviously been preoccupied by, but hadn't known when I began. Small example: River of Stars has a motif of how a relationship with a parent shapes a child. I didn't plan or anticipate that. It also has a sibling relationship I am very happy with, and I didn't have that as a note or purpose at the start. Despite what I said at the top of this answer, books are organic for me, in some ways I write them and discover why I am writing them and I think readers, on their own journey through a book, can respond to that process, consciously or subconsciously. Never can, because I just about never know. The only time I ever knew what the next book would be was when I began Under Heaven. I'd had a Chinese-inspired book in mind, and a trunk full of research books, when I went with my family to the south of France in 2004 to begin researching and writing it. I was, as I have been describing it, hijacked by the past of Provence (our fourth long stay there, but first in many years) and the ideas and themes for Ysabel became more and more insistent. So I eventually stopped fighting those, shifted gears, and wrote a Provence-inspired book there. But did know what would follow when that one was done. Otherwise, as now, I don't know. Can be an anxious feeling, in fact it usually is, but some stress and anxiety I can be good for an artist. Think oyster, seed, pearl. Or at least a writer dreaming and hoping he ends up with a pearl. Thank you, Guy. Best of success with River of Stars! 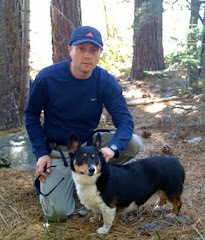 To find out more about Guy and his work, please visit his website.